Mokshagundam Vishveshwarya was born on August 28, 1860 and Muddenahalli(a village) in Chikballapur Taluk, Kolar district, Mysore (Now Karnataka). Vishveshwarya completed his lower secondary course at Chikballapur. After completing his high-school, he joined the central college having stood first in engineering, it was not difficult for him to enter the Bombay Government Service. He joined the engineer’s kader as an Assistant Engineer. The first test of his ability was when he was entrusted with the construction of SYPHON on the river Panjra at Dashari, a village 35 miles from Dhulia. Visveswaraiya proved his mettle in the world scenario. This was the inspiring force that led to the idea of building a world-class technical institute. Placements: The Training & Placement Department of Vishveshwarya has always made consistent efforts towards the cause of student placements. At Vishveshwarya Group of Institutions, we provide the corporates battle-ready professionals ready to take on the challenges in the real world, with confidence. To build up awareness in the students, we encourage interaction with the corporate on a regular basis to identify their requirements in terms of skill sets.With this approach, we at VGI hope to bring a revolutionary change in design and delivery of Training and Placement Cell of the academic industry.This formulated policy is to make sure that students pursuing Professional course end up with highly competent skills and employable young talent to produce high quality results in the cut throat competition. Campus: Mokshagundam Vishveshwarya was born on August 28, 1860 and Muddenahalli(a village) in Chikballapur Taluk, Kolar district, Mysore (Now Karnataka). Vishveshwarya completed his lower secondary course at Chikballapur. After completing his high-school, he joined the central college having stood first in engineering, it was not difficult for him to enter the Bombay Government Service. He joined the engineer’s kader as an Assistant Engineer. The first test of his ability was when he was entrusted with the construction of SYPHON on the river Panjra at Dashari, a village 35 miles from Dhulia. Visveswaraiya proved his mettle in the world scenario. This was the inspiring force that led to the idea of building a world-class technical institute. This is how Vishveshwarya Institute was born. Vishveshwarya Institute is more than just a hall of residence it’s a place where you’ll do a lot of living, studying and socializing. Your College community will include graduate, Postgraduate and research students, teachers and lecturers. Dr. M Visveswaraya was a great statesman, administrator, and engineer and he was awarded the coveted Bharat Ratna in 1955. He was an honorary life fellow of the Institution of Engineers (India).His birthday September 15th is observed as ‘Engineers Day.The dedication & the value of time ,he has shown,is our guiding principle.This is how Vishveshwarya Institute was born in 2000. Being the first engineer of the country Visveswaraiya proved his mettle in the world scenario. This was the inspiring force that led to the idea of building a world-class technical institute. This is how Vishveshwarya Institute was born. Central library: Library and information Centre of VGI offer a comprehensive range of services to help you to get the best out of learning at our campus. Each institute of VGI has its own separate computerized library and networked with others. It enables the users to on-line access for getting information on availability of required book(s). The libraries act as spinal cord of VGI with well-balanced collection of Books, Journals and E-Resources in various fields of Engineering, Management and Technology. It also includes information, which is useful for teaching and reference purpose. It also provides literature on personality development, ethics and research support to the students. The library remains open for twelve hours on all working days. 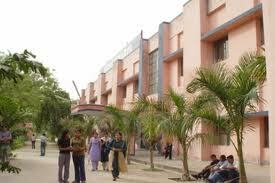 Hostel: VGI provides the best hostel facilities in campus for boys and off campus for girls. The hostel for girls is a part of the VGI and it is well connected to the campus through dedicated college buses. The well-appointed hostel rooms provide a comfortable stay to provide much-needed break from hectic activities. Hostels have facilities like hot and cold water supply, medical aid, electricity backup, security, Internet access and recreational facilities etc. The hostlers coming from different states are also grouped together to develop a culture of sharing and cooperation.